The PG-2100 can be operated manually or jammed (automatically preset and started) from any external SMPTE time code input source. Operates at frame rates of 23.976, 24, 25, 29.97 drop/non-drop frame, or 30 FPS (Fames-Per-Second). Able to "genlock" to an externally applied video reference or can free run. 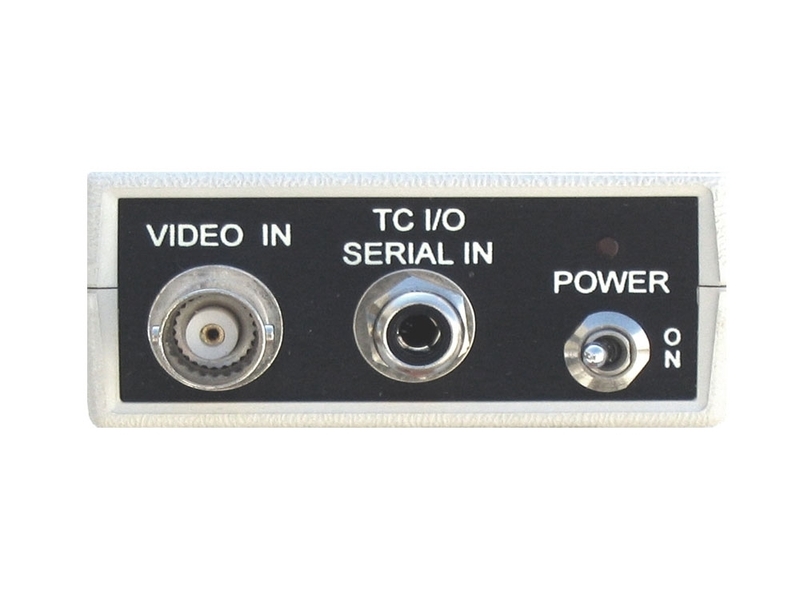 Provides selection of "LINE" or "MIC" output level and includes various common MIC/ LINE adapter connectors. Time, date, frame rate, and ID number can be monitored and manually changed. All settings stored in non-volatile memory. Single LED indicator blinks to indicate running, stopped, and other operational status. Auto power off after 5 minutes if not jam set to external time code input or manually started. 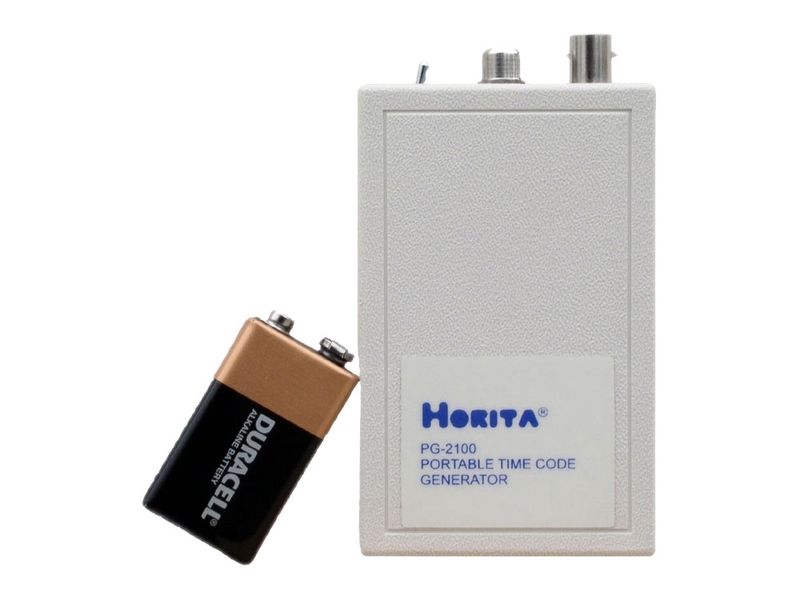 Operates for over 24 hours from a single 9V alkaline battery.